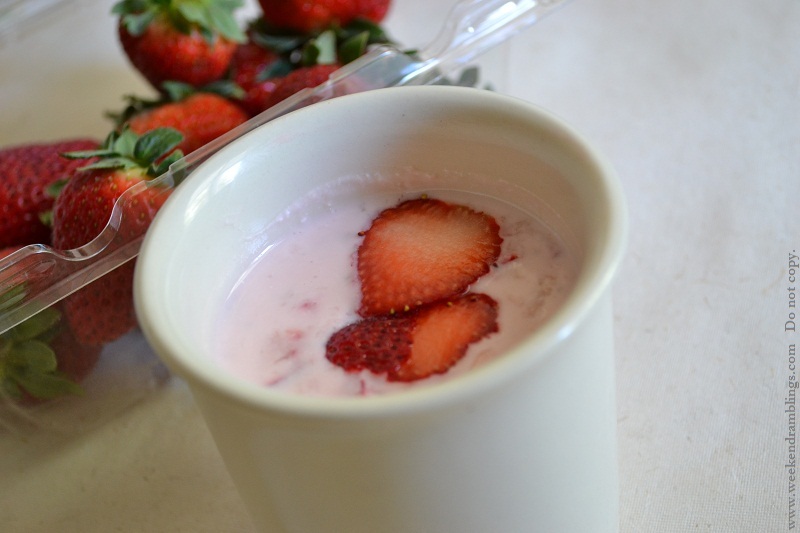 I love strawberry yogurt, but being the obsessive label reader that I am, it's not easy to overlook the fact that the store-bought tubs come with loads of added ingredients. Plus the fact that it's an added expense. Easy way out, make it at home myself, and use the money on something better instead (ahemmmm...a Chanel perhaps :P). 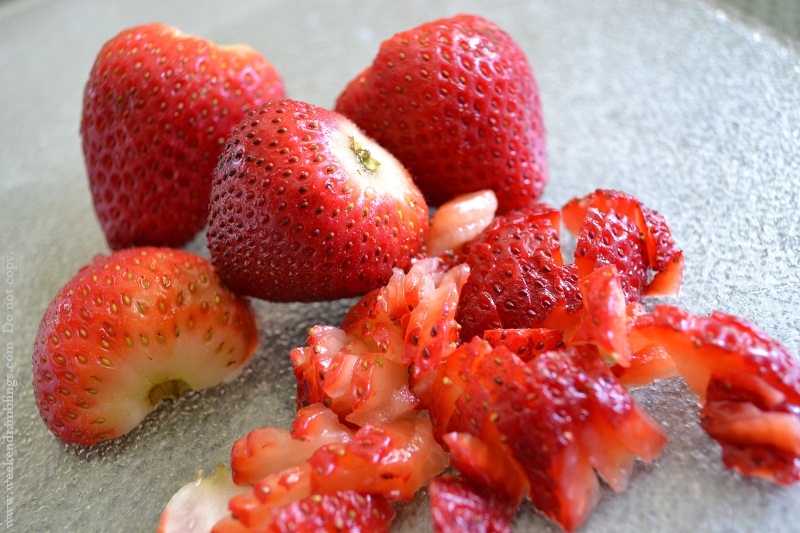 Take 5 large strawberries and chop them into really small bits. 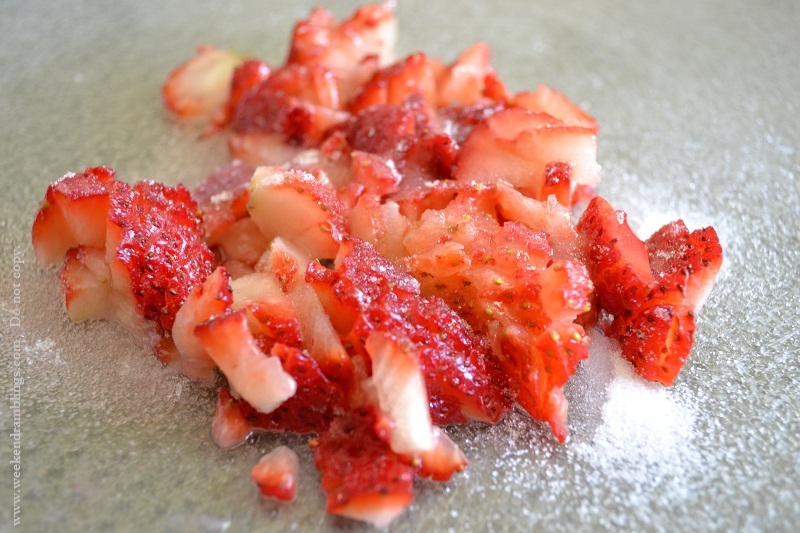 Put the strawberry pieces in a bowl and add the sugar. It can be quite messy, otherwise. 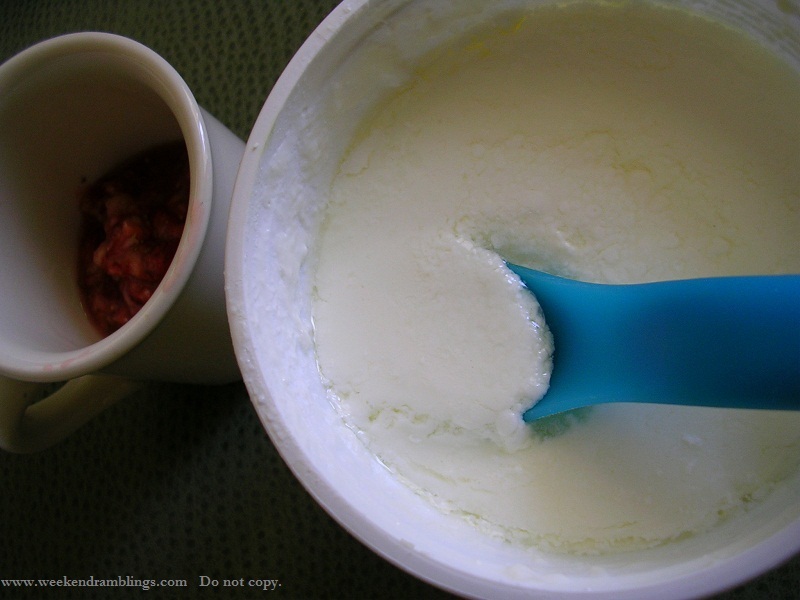 Add the softened, mashed berries into a bowl/cup. Top up with thick yogurt (I have used homemade yogurt) - about 5-6 large tablespoons. Stir and mix everything. Taste. Add sugar/honey/maple syrup - any sweetener if you need. Cover and keep in the refrigerator for about an hour or two for it get cold and thick. And the bonding? 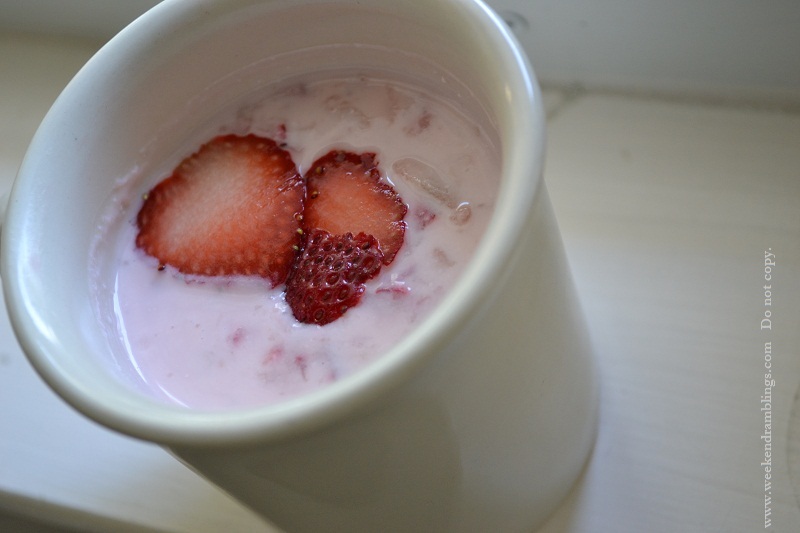 Turns out Deb and I decided to have strawberry yogurt about the same time - and we found it so funny both of us decided to post it at the same time :D :D Here's Deb's snack!